Chisholm Trail Grass-fed Beef is a rancher-owned and -operated cooperative. Unlike other providers that raise their beef out of state or even in other countries, we raise our cattle locally on small, family ranches right here in Texas. Our ranches are certified by the American Grass-fed Association, and our cattle are free to roam as nature intended, grazing in pastures, eating the grass they’re supposed to eat and thriving without added hormones or unnecessary antibiotics. Thanks to their natural diet and free-roaming activity, pasture-raised cattle from Chisholm Trail place far less stress on the natural environment than cattle from factory farms or feedlots. 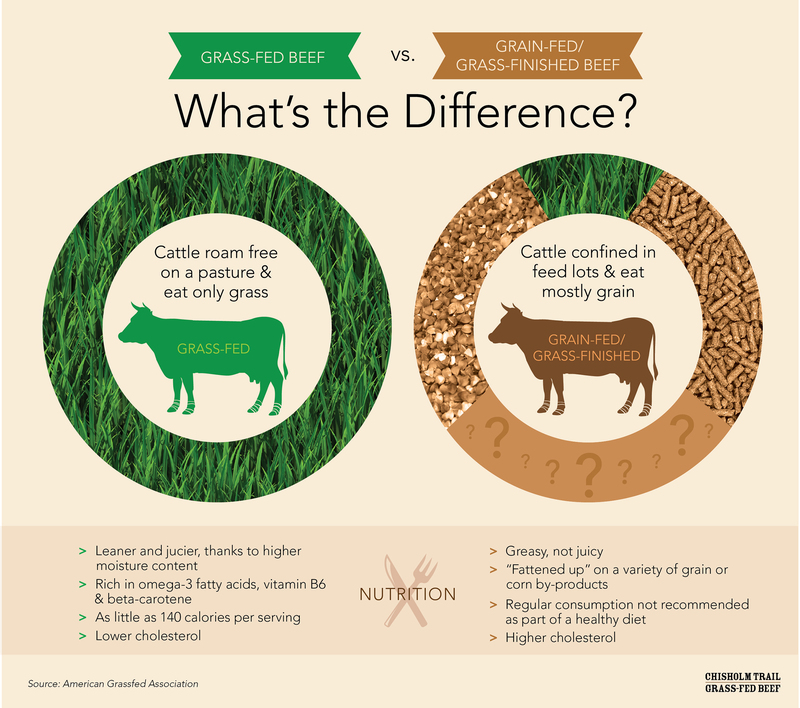 And this combination of diet and activity is why Chisholm Trail Grass-fed Beef is so much leaner and healthier than conventional beef. © 2018 Chisholm Trail Grass-fed Beef. All rights reserved.